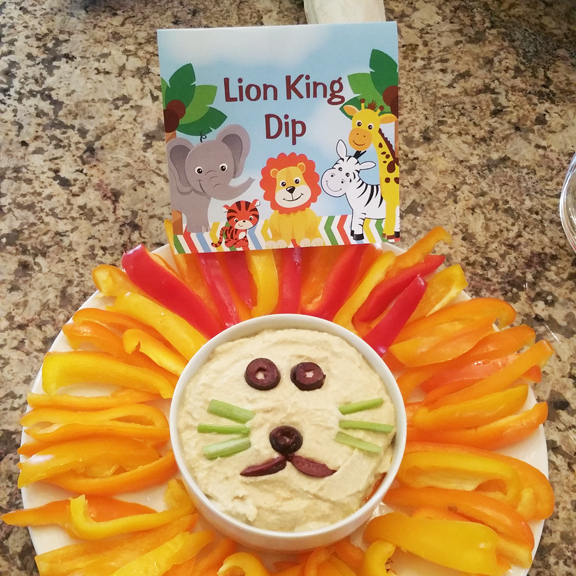 This entry was posted on January 3, 2018 by thatpartychick. 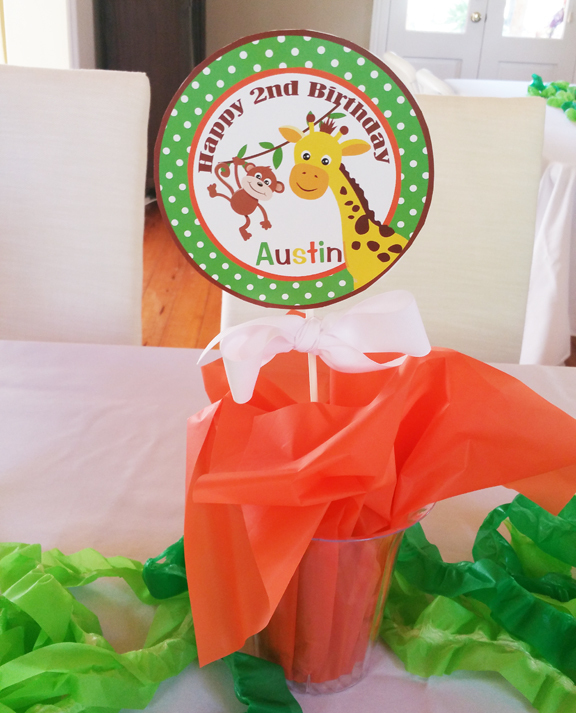 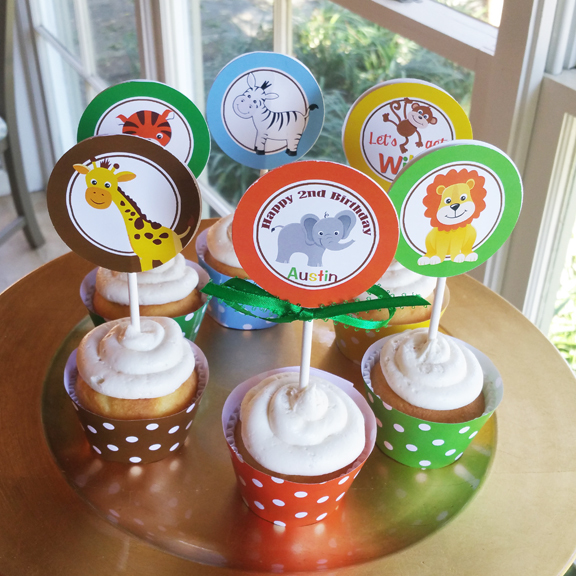 The birthday boy’s love of elephants, tigers, giraffes and monkeys inspired this wild second birthday celebration! 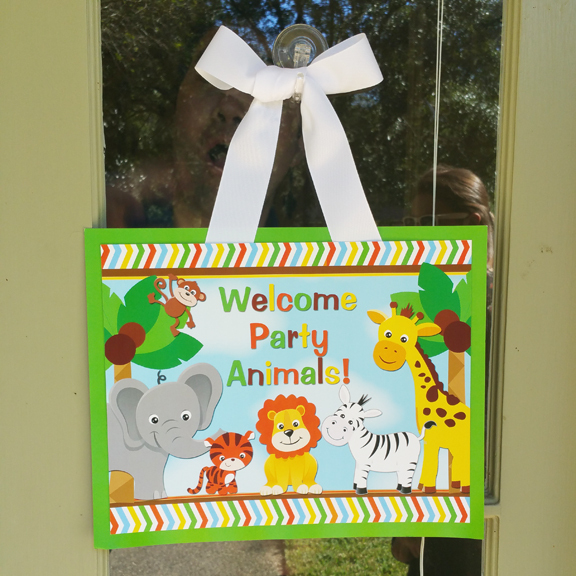 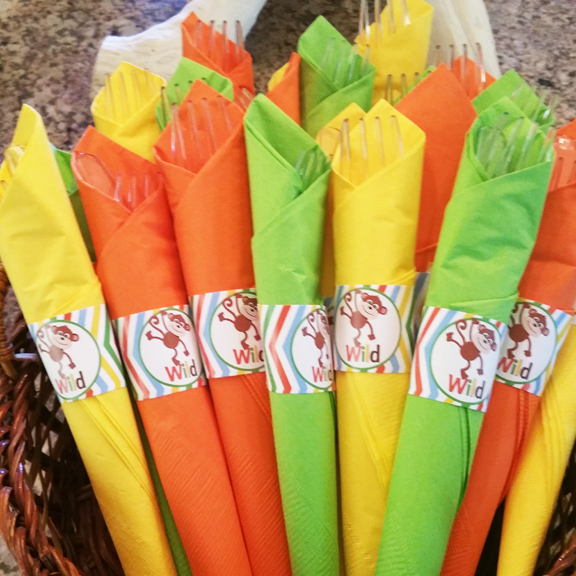 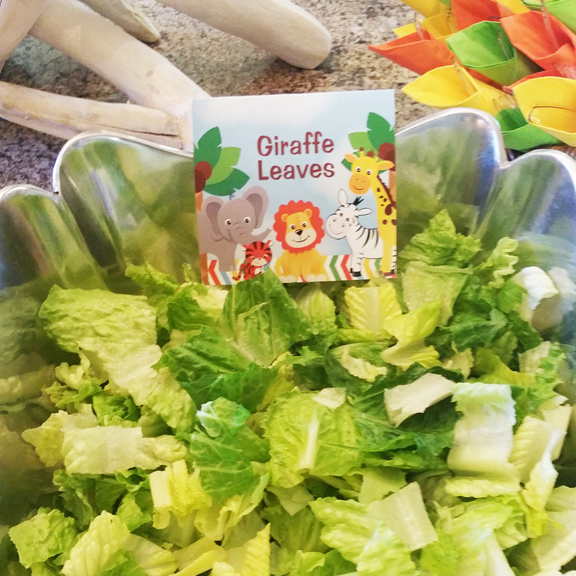 A “Welcome Party Animals” sign beckoned guests for come in and enjoy the food and birthday festivities! 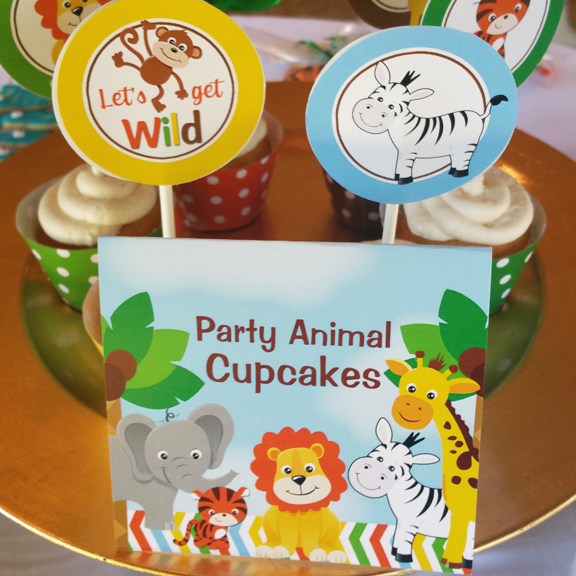 A variety of wild animal décor was included on party tables, and throughout the home. 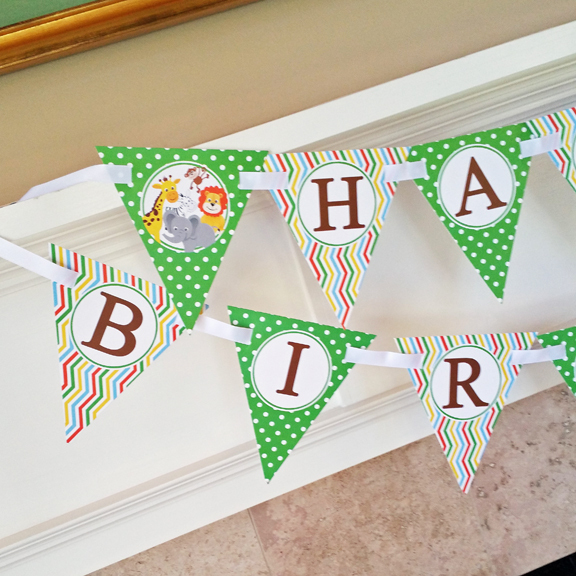 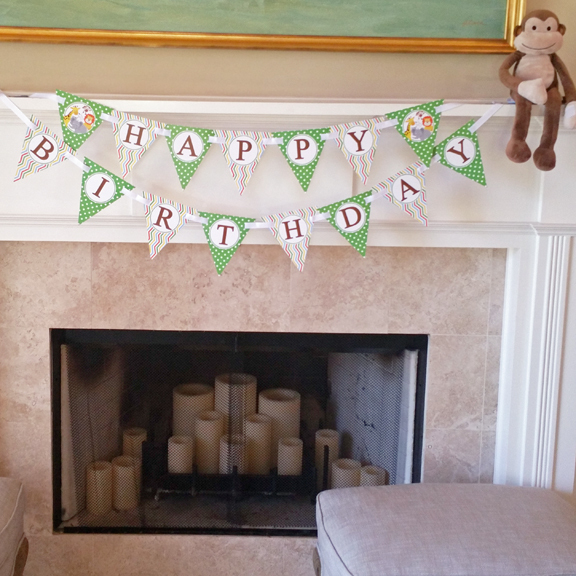 A “Happy Birthday” banner hung on the mantle. 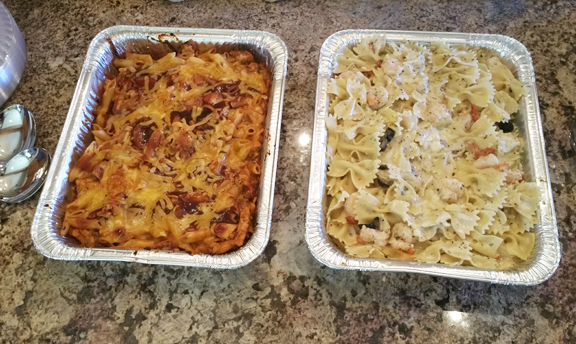 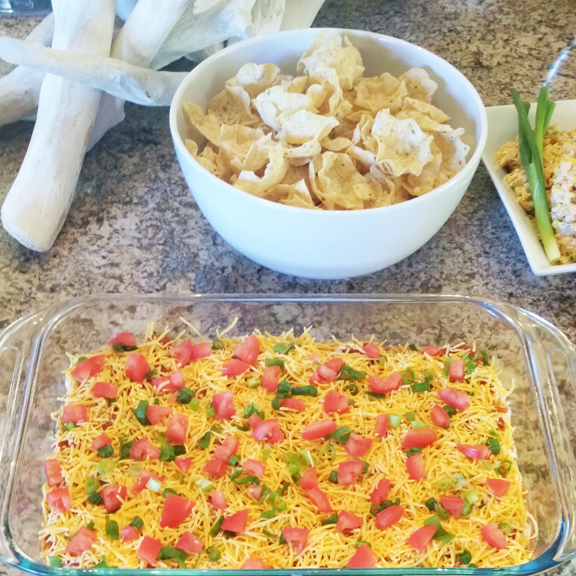 After appetizers including seven layer dip, hummus lion king dip, and corn dip, family and friends dined on Shrimp and Chicken Pasta dishes, and salad. 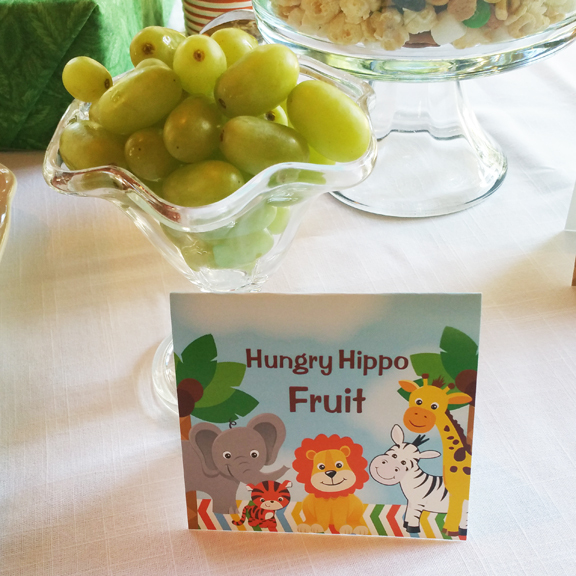 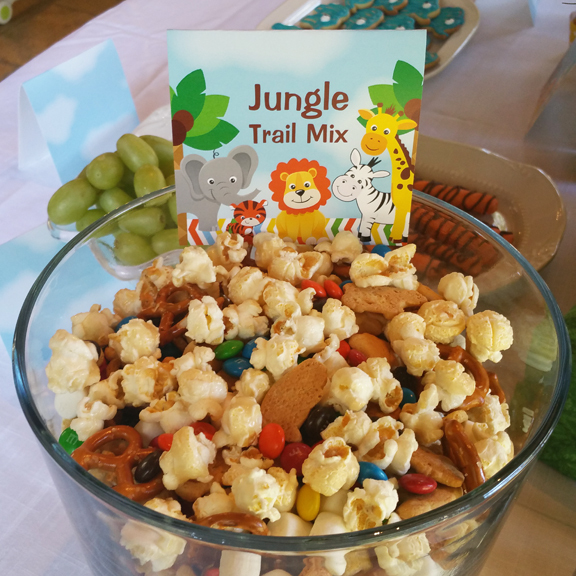 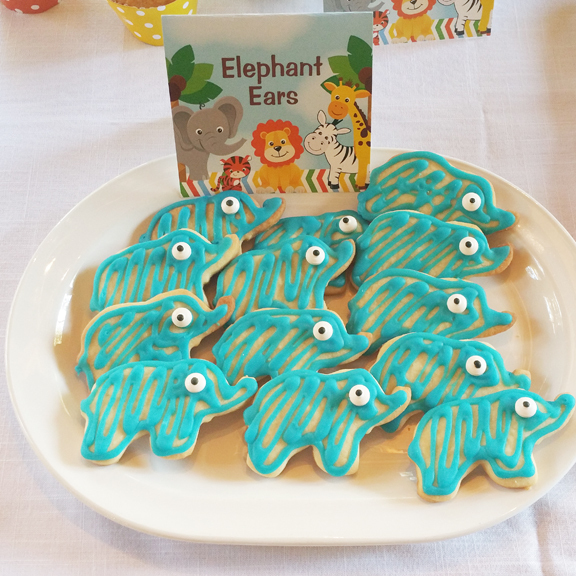 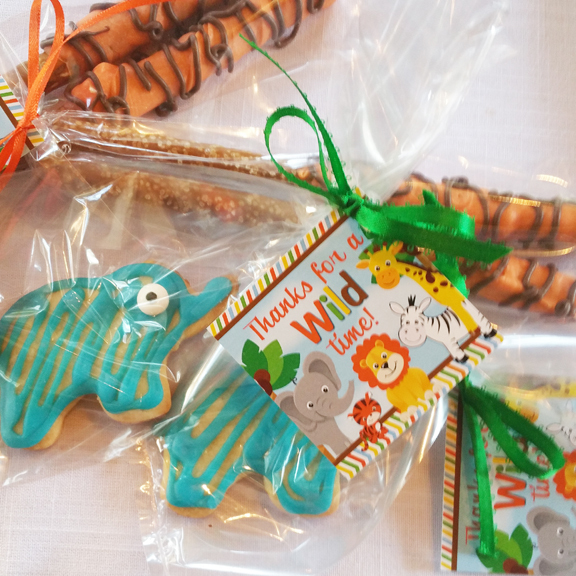 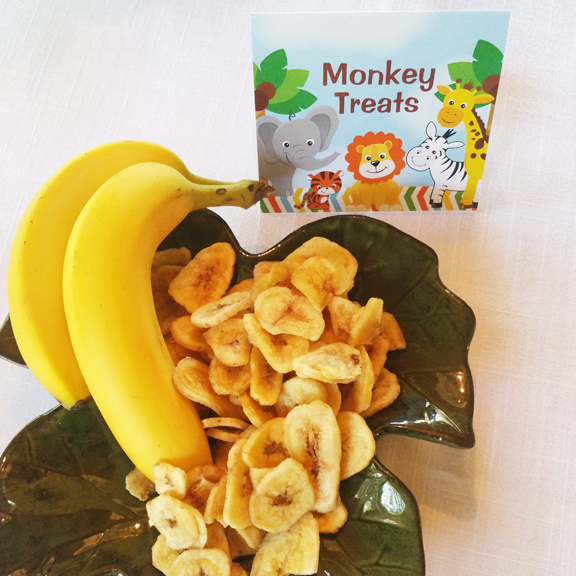 The dessert table included “Party Animal” cupcakes, Jungle Trail Mix, Elephant cookies, Monkey treats (banana chips), Tiger Tails (Dipped Pretzel rods), and Hungry Hippo fruit. 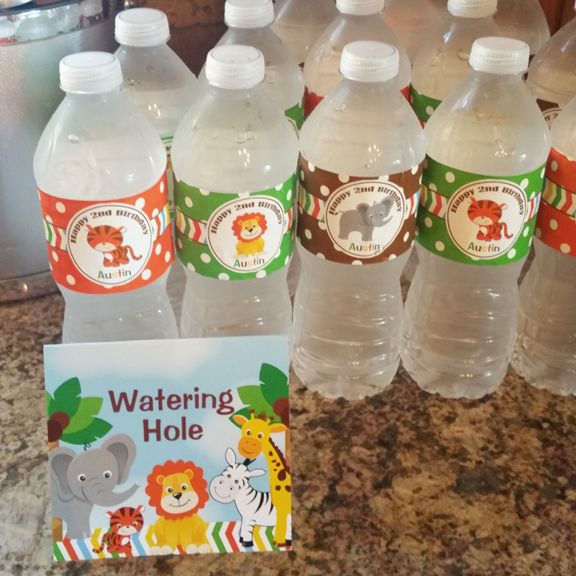 Beverages included assorted soft drinks, bottled water with party themed labels, and coffee.